In California’s Silicon Valley, one is more accustomed to spotting self-driving cars in the wild than anything truly feral and it’s easy to fall prey to the belief that all the fresh produce comes from the central valley. A couple of Santa Clara Valley brothers with seven generations of farming experience in their blood plus agribusiness college degrees have redefined this valley’s fresh produce model with their father. 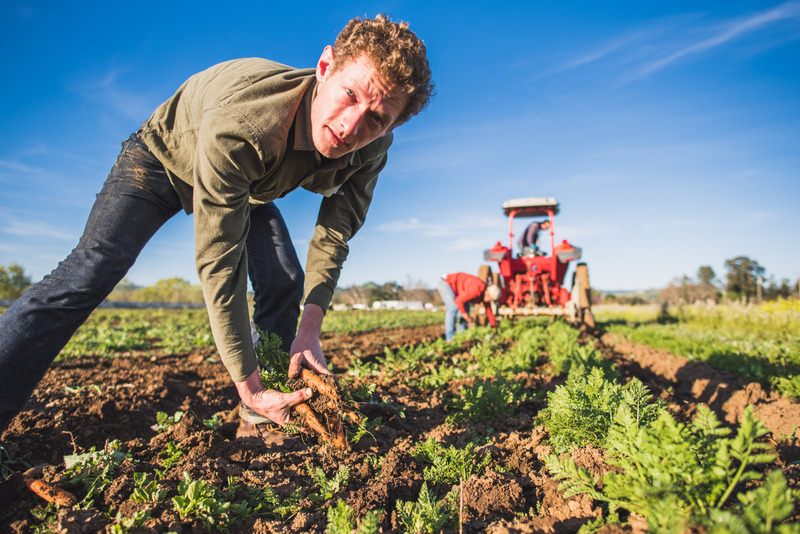 The Thorp family-owned Spade & Plow Organics is the only registered organic CSA program in the Santa Clara Valley. The Thorps have started a local agricultural revolution without the typical VC money common to the plethora of mobile apps which have consumed this valley like hungry gold diggers. The Thorps are their own boots on the ground, every day, in the field, in the distribution site, in the Spade & Plow delivery vans with an eye on changing how Santa Clara Valley grows and delivers fresh produce and food for local Silicon Valley consumers.